This is my latest – you can get it as an ebook or a hard copy from amazon or Endeavour Press. 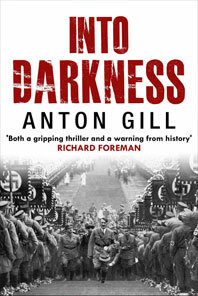 The hero’s a member of the German Resistance to Hitler – did you know there were 42 attempts on Hitler’s life? He’s on the run after being denounced but determined to take down his evil opposite number before the Gestapo catches him. I’m very pleased with this book and it took a lot of sweat and tears to get it out there for you. Hope you enjoy it!